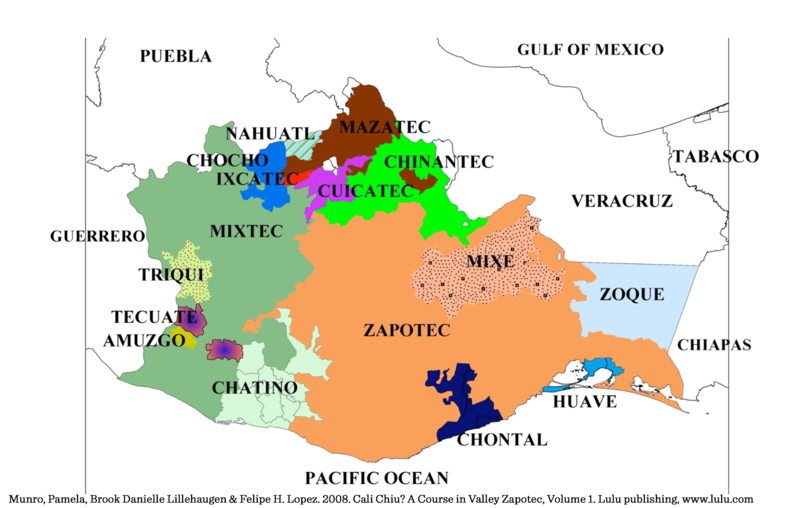 Resources – Visualizing Language: Oaxaca in L.A.
A comprehensive list of reading material on Zapotec culture and history, compiled by Visualizing Language Research Consultant Xochitl Flores-Marcial, Ph.D. This helpful resource guide for educators provides essential questions, activities, and discussion prompts to facilitate student reflection on artworks from Visualizing Language and other visual art exhibitions presented as part of PST:LA LA. A visual map charting the indigenous languages of Oaxaca and their regions of use, as compiled by Felipe H. Lopez. Thematic conversations, readings, and panel discussions from ALOUD at Central Library can be accessed in the archive. This catalogue collects the artwork, essays, and poetry that comprise the project.